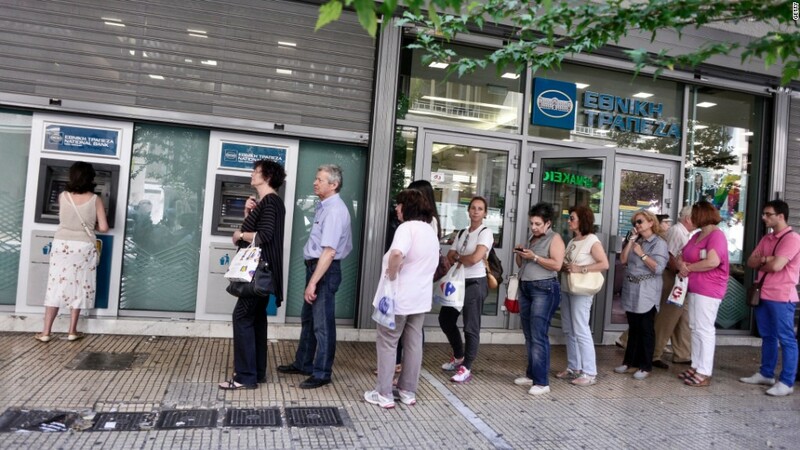 The banking crisis in Greece is holding local entrepreneurs captive. Strict rules on how much money people and businesses can access, issued last week, mean most companies aren't able to make payments with Greek bank accounts and credit cards outside the country. That's a problem for tech startups, many of which have online expenses they can't pay -- not because they can't afford them but because they're not allowed to transfer money abroad. This creates an existential crisis. For example, there are recurring hosting fees to keep their websites -- their livelihoods -- up and running. "You feel like a hostage," said Greek entrepreneur Panos Papadopoulos. Papadopoulos is an entrepreneur and angel investor who uprooted himself nearly two years ago from Athens to San Francisco. His startup BugSense was acquired in 2013 by Splunk (SPLK) where he works today. He remains connected to the Greek startup ecosystem -- not only as an investor but through a volunteer effort called ZeroFund. ZeroFund is a no-strings attached funding vehicle. Its goal is to prevent Greek startups from folding by donating small amounts of money. 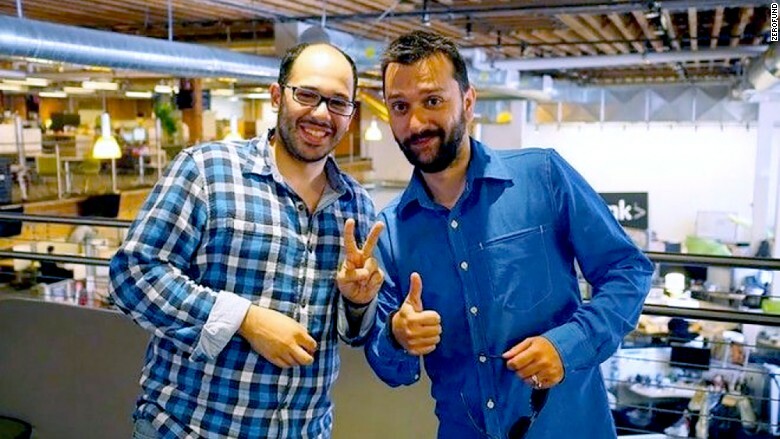 Greek entrepreneurs now in Silicon Valley Vlachogiannis and Papadopoulos. Through ZeroFund's site, companies in need can fill out a form with information about their company: What is the biggest issue you're facing? How many employees do you have? How much a month do you need? ZeroFund provides the donation through pre-paid Visas and MasterCards. "We don't take any stake in the companies. It's a favor," said Papadopoulos, who added that it feels good to give back to his country. The group has received applications from 78 Greek companies, ranging from e-learning startups to tourism websites. ZeroFund has helped roughly 30 entrepreneurs so far. The cumulative amount it has gifted is just $1,900 so far. Silicon Valley investor Marc Andreessen tweeted his support and pledged to contribute with a pre-paid card. --"All my Greek credit cards are declined, even for the small amount I need to pay (12,99 dollars). I requested time from my hosting company and they gave me 2 deadlines with the last one for tomorrow. As you can understand I am very anxious about tomorrow as my clients websites cannot be offline even for minutes." --"We currently host around 150 websites on 3 designated servers with Hetzner (Germany). The billing is done on a monthly basis with an automated credit card payment. This will be rejected on the 12th of July with the current credit control situation. We are stuffed. If you could help us out, that would be greatly appreciated." ZeroFund will only pay for business essentials, not things like advertising campaigns. Joining Papadopoulos in this effort are five others: BugSense co-founder Jon Vlachogiannis; Greek-German entrepreneur Wassilios Kazakos; General Catalyst's Niko Bonatsos; Kickstarter's John Dimatos; and Zoottle's Christos Perakis. Though ZeroFund hasn't donated much to date, they're expecting the need will only grow. "Just a small amount for the time being but it keeps them afloat," said Papadopoulos. "We're trying to prepare for a much bigger influx of requests over the next couple of weeks."